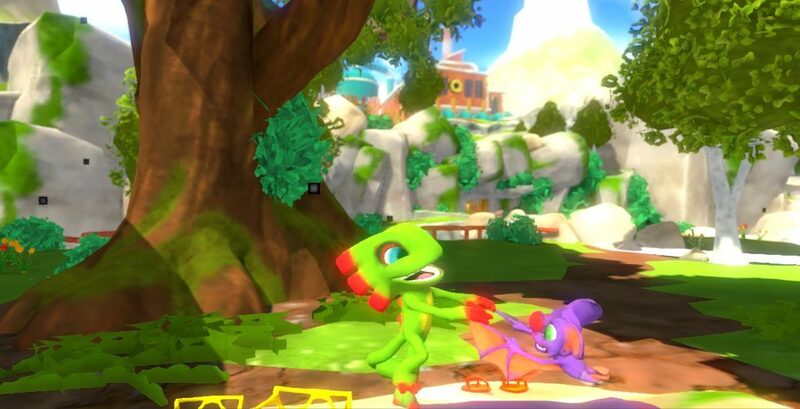 During Yooka-Laylee’s Kickstarter, one of the stretch goals hit was 64-bit tonic, a mode that would “demake” Yooka-Laylee’s graphics into 64-bit graphics, a throwback to the Nintendo 64 era. Playtonic Games has revealed that they’re currently working on 64-bit tonic and have released a first screenshot of the mode. You can probably expect to play this mode on Nintendo Switch once it’s patched in through a future update.